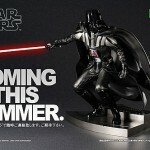 Thanks to the Cybergundam Blog, we see that Kotobukiya has released a preview image showing their upcoming Star Wars ArtFX Darth Vader statue. The statue is scheduled for release sometime this summer. 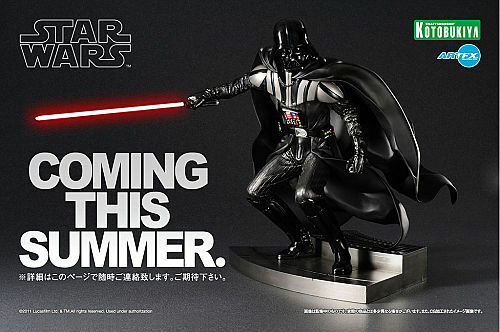 Darth Vader will feature a light up light saber as well. We will have more images and information as it becomes available. I picked Darth Maul one up. Very nice. It looks good,but im not sure about paying over 100.00 for a vinal figure.